Seller has survey and boring report to present to new owner. Both of which will save the buyer more than $3000. 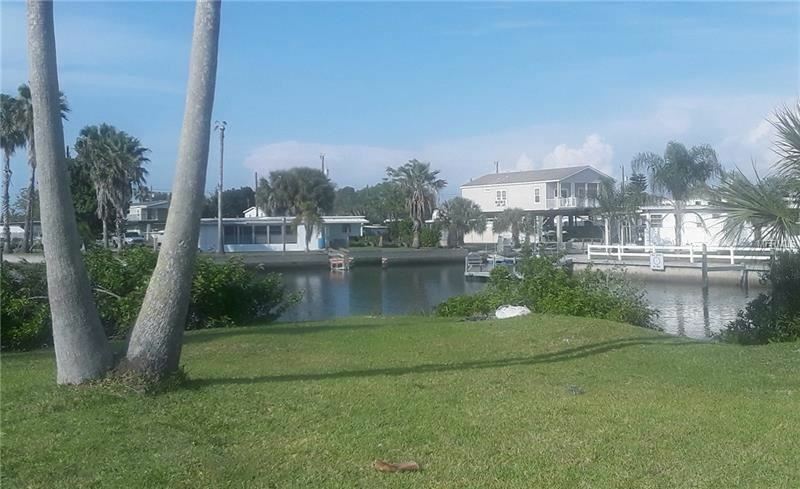 The lot is at the end of Carol Drive on the cul de sac and is a quarter acre that is at the end of a canal which runs into a canal that runs straight out to the open gulf. The corner lot has a total water frontage of 235 feet in Killarney Shores to the Gulf. A little more than a mile north of SR 52 on US 19 turn W on Saltwater Blvd. to Carol Drive and turn R. Go to end. The approximate monthly Principal & Interest payment for this property would be $385. This payment is based on a 30-year loan at a fixed rate of 4.12 % with a down payment of $7,500. Actual lender interest rates and loan programs may vary.